Fortunately you picked a quiet news weekend to shut down the site for the grand conversion to WordPress. Of course, Alan Khazei has now joined Bob Massie in the race for the coveted Gabrieli trophy. The Gabrieli trophy goes to candidates for Very High Political Office who have disdain for taking any role in local government. They never participate in Town Meeting, never run for Selectman, School Committee, City Council, Mayor, or any other municipal office, because they truly belong in Higher Office instead. Does anyone know how to play this game, or are we going to be stuck with another six years of Scott Brown? For years, we (the MA GOP) have been plagued with a series of Big Men On Campus, blowing through resources, volunteers and time. Eventually, they lose, wondering why the electorate was so small as to not see their inherent wonderfulness. Mitt and Muffy certainly didn’t understand the real world. I have three years on the LGAC that documents their cluelessness when it comes to the problems we face on the local level. I have to give credit to Charlie Baker, who actually spent three years as a Selectman in Swampscott. At the very least, he had to deal with the problems that he was looking to create in the corner office. I thought he was an awful member of the state board of education, too much ideologue and not enough pragmatist. The GOP candidate from the last cycle who impressed me tremendously was Mary Z. Connaughton. She was a former vice-chair of the Framingham Finance Committee, and on the several times that I met her she was a very knowledgeable, articulate voice of reason. I also admire her work on the Turnpike Authority. There are plenty of good, solid Democrats who have broad public policy experience. Khazei and Massie simply don’t make the grade, and they certainly can’t beat a strong incumbent. Needed to be said. But frankly I don’t think either potential candidate has contributed as much to the policy arena as Chris, and he deserves a lot of credit for his pioneer work in developing and building model after school programs in the city. 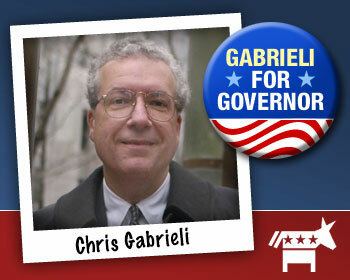 I see Chris Gabrieli’s influence on K-12 public education as overwhelmingly negative. The bulk of his efforts have been in advocating for, and investing in, for-profit charter schools and even a for-profit head start center. To the extent that extended day programs are good for kids, Gabrieli’s “altruism” is in the context of developing a privatized system and a potential revenue stream for corporate educators. independents start hating the Republicans (certainly not an impossibility; medicare will feature prominently as an election issue), we’re going to be stuck with another 6 years of Scott Brown. Out here in the West, no one has heard of Khazei or Massie. My guess is that what we have for organization will support Khazei. I’ve already been approached. We need someone who is a known quantity and has experience, these outsiders aren’t going to cut it, not for this race and certainly not at this pace. So I’ll wait and see who emerges, I’d be happy to vote for Cappy even if he isn’t winning. Khazei should wait for Cappy to vacate his seat and run in the 8th. Its far more liberal than the rest of the state as a whole, his name recognition and fundraising potential could make him an instant frontrunner and I am convinced he could do a lot of good. My guidance counselor told me to aim for the stars and reach for the moon. Its worked in my life in a variety of ways and it makes sense to shoot for something attainable you can do great things in. Look at Grossman at Treasurer or Clinton and Obama being in the Senate before running for President. If Khazei put in a solid two-three terms in the House he could make a great Senator once Kerry vacates, or run for the Corner Office. Instead he will once again waste his money, dilute the progressive vote, in a vanity campaign going nowhere fast. Watch BMG to give him another kiss. Whether it is founding CERES or the Global Reporting Initiative, or activism in Somerville, I totally disagree with your assessment of Bob Massie. He has paid his dues, and worked on issues in the Real World – unlike Mitt Romney and Muffy he also knows what it is like to pay bills, raise a family, and earn a living. Notably, too, rising like a Phoenix after being cured of an incurable disease and having a liver transplant, and an “up close and personal” understanding of health care matters to me, too. In my view, front line issue advocacy and corporate creation on issue I care about, as well as hard work in the real world count and take Bob Massie out of the Gabrielli-Romney-Muffy club. Cheap shot, Pablo. Come on in and meet the guy! Two nights this week, I sat next to your husband in Town Meeting. Your husband now has more experience in local government than Massie and Khazei combined.